I have scanned and scanned to find the problem, Why doesn't MS just highlight the problem email address to make this problem easier. 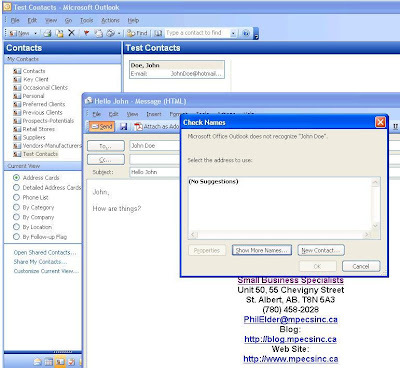 Manually enter the Email@Address.com in the TO field in Outlook. It will then appear as an option when typing. I suggest making sure to set the default Address Book to Contacts right from get-go.